How important is your dog’s health to you? I know it’s important, otherwise you wouldn’t be here! If health depends on immunity, should you be thinking about how to boost it? Boosting immunity is one of the best ways to fight disease in dogs. Dogs, like humans, build their immunity through a variety of things: genes, exercise, good environmental conditions and socialization. But, by far the most important thing that impacts your dog’s health is what she eats. Is Your Dog’s Food Enough? You can’t rely only on commercial food (and especially not kibble) to give your dog everything she needs. Vegetables and fruits have huge benefits for dogs when you choose them properly. Whether you have a puppy or a senior dog, boosting her immunity system is always a good idea. So what foods can fight disease in dogs? This superfood is very rich in antioxidants and very low in calories. Antioxidants make cells regenerate faster by protecting them from harmful free radicals. They also contain plenty of vitamins such as vitamin C, A and K. These vitamins strengthen a dog’s heart health and support his bone strength. But these aren’t the only ways cranberries can enrich your dog’s nutrition. This superfood is also very known as an effective cure for UTIs. So if your dog starts to pee a lot thanks to a urinary infection, you know what to do. Your dog can have cranberries in different forms: raw, powder, tablets and juice. Giving them raw or in powder might be the easiest way of implementing these berries to your dog’s diet. Cranberry juice might be an option as well. But, a lot of commercial juices contain high levels of sugars, which makes it a definite no-no for dogs. So when opting for the liquid form, better make the juice yourself. Dried cranberries are not recommended. If you want to feed your dog fresh cranberries, opt for a handful for a medium to large-sized dog. If you own a smaller pup, cut the portion in half. If you realize tablets or capsules are a better alternative, follow this rule: 400 mg capsule per 20 lbs of body weight each day should be the optimal way to boost her immune system. *A note on fruits and veggies. The ideal quantity for your dog is 10% of her daily food intake. So when you break your dog’s food down, try to keep the total fruits and vegetables to 1/10 of it. There are plenty of reasons why these berries are a real superfood. They’re rich in fiber and antioxidants and contain vitamins C and K.
They help in preventing colon cancer, heart diseases, and obesity. If you own a senior dog, you should definitely add them to her diet. They can slow down aging and memory loss. The most beneficial way of serving blueberries to your dog is just the way they are – fresh and raw. Be sure to find organic berries to avoid glyphosate! Wash them thoroughly and your dog will really enjoy this treat. A handful of blueberries for a medium to a large-sized dog will be more than enough. For smaller dogs feed smaller portions. Celery is known to be very healthy and nutritious for humans. We actually include this parsley family vegetable in a lot of our favorite recipes. vitamins A, B, K, C, E and D.
It’s also very low in calories. Not only does this veggie boost the immune system and protect against disease, it can also improve your dog’s teeth and breath and work to eliminate toxins from her body. The best way to preserve all its nutritive values is to serve them raw, but a light steam is also ok. Eating raw celery may even help remove tartar build-up on your dog’s teeth. Give a stalk for her to chew a few times per week. Bell peppers are highly nutritious for both humans and dogs. When it comes to dog health and protecting against common dog diseases, the immune system is so important. This vegetable is rich in vitamins and minerals and low in calories. It has four times more vitamin C than an orange. Peppers contain powerful antioxidants that have great healing properties. Peppers can help improve your dog’s cardiovascular system and protect her from free radicals. First, let’s talk about how to choose the right pepper. When buying peppers, always go for red and mature ones. They’re richer in vitamins and minerals compared to their yellow and green cousins. First, peel off the skin and remove the seeds in order to avoid potential digestive problems. The best way to add these to your dog’s diet is by mixing them with his regular food. A very light steam or finely blending them before adding to his food can help with digestability. Making capsicum a treat is a great way to add more nutrients to your dog’s diet. Follow the 10% rule and your dog will enjoy all benefits without risking digestive issues. If your dog likes the taste of peppers, you can gradually add them as a boost to your dog’s daily food intake. Note: peppers are part of the nightshade family of vegetables (which also includes tomatoes, eggplant and potatoes). Nightshades contain solanine which can aggravate inflammation, so it’s best to avoid them if you have a dog with a condition like arthritis. Bugs Bunny’s favorite food might turn out to be your dog’s favorite one too. This sweet and tasty vegetable is a great source of vitamins for your pup. Carrots are an amazing source of fiber and antioxidants. They contain vitamin A that is crucial in promoting overall health both in humans and dogs. Carrots will improve bone growth and teeth health. Carrots also contain plenty of essential minerals. These nutrients help promote eye health and reduce damage caused by UVB radiation. If you have a large-sized dog, giving an entire carrot to chew on is more than fine. When feeding these veggies to smaller dogs, you may want to serve them sliced. This way you will prevent choking if the pieces are too big. You can serve them raw or lightly cooked. Cooked carrots will keep most of their nutrients, but they won’t be as good for your dog’s teeth as the raw ones. Just note that dogs don’t digest raw carrots very well so you’ll often see them come out just as they went in. A good amount here is, again, part of that 10% of your dog’s daily food intake. Broccoli is another veggie your dog can enjoy. Giving it as a treat will provide your pup with health benefits and boost his immune system. Broccoli is high in fiber and vitamin C while being low in fat and calories. Broccoli is also a great source of potassium, calcium and iron. These minerals help fight disease and strengthen overall health. It makes a great immunity booster as long as you don’t go overboard in feeding quantities. You can serve broccoli raw, but it’s harder to digest so steamed or cooked may be easier. When giving raw broccoli, make sure to cut it into bite-sized chunks in order to avoid it being a choking hazard. Finally back to some fruits! Bananas are one of the healthiest treats for dogs. 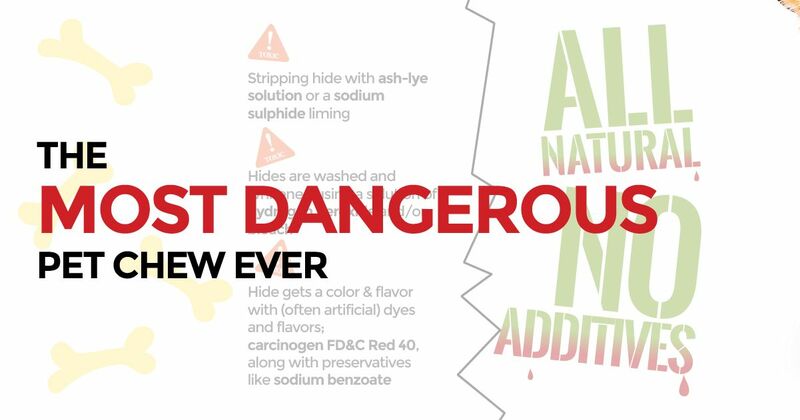 That’s why most of the natural dog treats you can find actually contain them. Bananas are a natural source of fiber, potassium, copper, manganese and vitamin B and C.
Potassium will keep the bones strong and blood vessels elastic and healthy. Other compounds will ensure a strong immune system and regular bowel movements. As you can probably guess, raw bananas are the way to go. But if this seems too boring for you, you can also find plenty of recipes for making your own puppy treat. Bananas will give the treats a special flavor and a boost of nutrients. Keep in mind that bananas are high in sugar, so they should be given only occasionally and not on a daily basis. When talking about quantities, big dogs can have half of a banana several times per week. Smaller dogs, on the other hand, will be more than happy with a few small pieces. [RELATED] Fruits and vegetables are good for more than just boosting immunity and fighting dog diseases. Find a few more reasons to feed them here. This delicious fruit is very beneficial for dogs. Because they contain plenty of water, cantaloupes make a perfect treat during summer. This orange-colored melon is rich in vitamin C, vitamin A and beta-carotene. Cantaloupes contain also potassium, fiber and folic acid. This delicious fruit has anti-inflammatory and antioxidant properties. This makes cantaloupes a great food for all dogs. Feeding a senior dog canteloupe is also a great way of boosting vitamin C levels and overall health. Slice the cantaloupe melon and remove the skin. Its peel can contain mold or carry potentially harmful bacteria. Also, discard the seeds as they are usually a bit tough for your dog’s digestive system. Cut the slices into bite-sized pieces and start by introducing smaller amounts. Giving too much may cause diarrhea so feed cantaloupe carefully. Although this vegetable can induce gas when eaten very often, it’s still a very healthy treat for your dog. Cabbage is highly beneficial for your dog when given in moderation. It brings benefits you wouldn’t expect. Cabbage contains antioxidants that are crucial for building a strong immune system. It is also rich in fiber which makes it a good digestive aid. Some compounds found in cabbage have been shown to prevent certain types of cancers too. This veggie can also improve your dog’s skin and fur by promoting the production of keratin. Cabbage can be served raw or cooked. Some believe that cooked cabbage is better on a dog’s digestive system. However, raw cabbage is good too. The serving size depends on the preparation technique of cabbage. If you decide to serve it raw to your pet, give smaller pieces. Also, introduce them slowly as your pup might need some time to get used to the taste. When cooked, cabbage can be served in larger portions as it will be easier for your dog’s tummy. Since discovering its various benefits, coconut oil became very popular among humans. But it’s also great for your dog too. There are plenty of reasons to use coconut oil for dogs. Coconut oil contains healthy medium chain fatty acids that powerfully boost the immune system. This amazing oil can help with weight management, disinfecting wounds and even help with allergies and skin conditions. What makes it even more amazing is that it can also be used to clean teeth and repel fleas and ticks. Adding a bit of coconut oil to your dog’s diet will promote good brain function. As a consequence, this will improve his cognitive function. If you’re looking for health and immunity benefits, then simply add it to your dog’s regular diet. Most dogs love the taste, so either add it to his food bowl or serve it right from the spoon. The key here is to start with small quantities. When your dog gets used to it you can slowly increase the quantities until you reach the optimal dose. Feed 1 teaspoon per 10 pounds of body weight daily. You can also use it topically. Take a bit of coconut oil, warm it in your hands and rub it on the skin. [RELATED] There are tons of other great reasons to give your dog coconut oil. Find there here! **Remember that dogs break down food differently than people. They’re on the carnivore side of omnivores and therefore, they don’t need as many vegetables and fruits as we do. When it comes to dog health and protecting against common dog diseases, the immune system is so important. These foods are all natural ways to give it a boost. 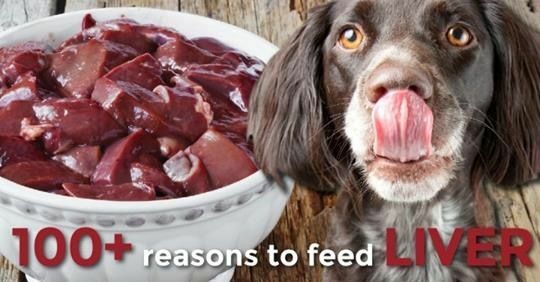 Start feeding them today and help give your dog the healthiest life possible.